Dunfermline MSP Bill Walker has welcomed recent reports that Fife’s economy could be boosted by £1.1 to £2.25 million p.a., after the launch of a new initiative to encourage tourists to visit the Kingdom. Approximately 15,000 cruise passengers are due to arrive in Rosyth this year and will each spend around £75 to £150 during their stay in Scotland. In addition, a total of 88,000 passengers arrived in the Forth last year, some berthing at South Queensferry or Leith. Figures suggest that, although a third arrive with no trips planned, passengers find little information about local tourist attractions. Dunfermline and West Fife Local Tourist Association wants welcoming committees to inform passengers and tempt them to spend more of their time in historic Fife. “Providing a warm and informative welcome to Fife works in so many ways. It ensures visitors get the best out of their visit and return home with positive holiday stories to share with their friends and families. 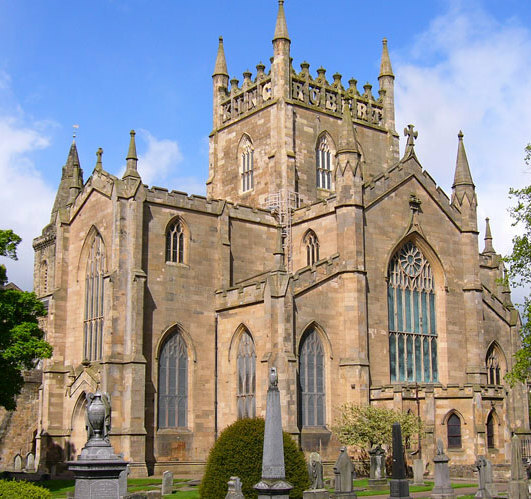 “As the former capital of Scotland, Dunfermline is steeped in history and is an obvious choice for tourists. Among the city’s attractions are the Abbey—burial place to Robert the Bruce and to more Scottish royalty than anywhere other than Iona—the Palace, Pittencrieff Park, Abbot House and Andrew Carnegie’s Birthplace Museum. The process of welcoming cruise passengers began last year, with volunteers greeting them as they disembarked. This year, volunteers plan to provide an even better welcome to Fife.